Home » Ask The Trainer Blog » Health » Can You Get a Prescription Online in the U.K.? Without the approval of a doctor or any other licensed medical practitioner, it would be considered illegal to procure a prescription drug. Strict laws are guiding the use of these drugs because of the propensity of patients to abuse, misuse, or become dependent on them – many prescription drugs have addictive side effects. Some prescription drugs that are often abused are antidepressants, antidepressants, marijuana, Viagra, and steroids. The place of medical advice in getting prescriptions cannot be overemphasized. Consulting with a doctor is important because,through consultation, they would determine which medication would work best for your condition. The hassle involved in getting a doctor’s appointment is one of the primary reasons many opt to find alternatives, which is often self-medication. Self-medication is not an option when it comes to the use of prescription drugs, and as such many are turning to online pharmacies. Is it legal to get a prescription online in the U.K.? Can I Get a Prescription Online in the U.K.? Due to the firm laws involved in the dispensation and procurement of prescription medication, one would be surprised to know that you can, in fact, get your prescription online. This process is regulated by the MHRA. How Can I Have an Online Checkup? The process involved in having an online consultancy is much easier than a physical one. When you visit the website of the online consultancy agency or an online pharmacy, all you need do is book a consultation. You should be notified if the consultancy is done via a video call using Skype or the pharmacy’s native web application. An online video consultancy takes the same form as physically having one with a doctor. Most online consultancies are carried out by general practitioners. They would ask questions just like your doctor would. To get the best from your online consultancy, it is best that you answer the questions as honestly as possible. You can also get a prescription online by completing an online medical questionnaire. The aim of a video call or questionnaire consultancy is to determine the treatment that best suits your condition. While the doctor in a physical consultancy may choose a time that suits him, you have the leverage of selecting the time best for you. Some online doctors work within a specific time of the day; if that is the case, your comfort time has to be somewhere in between. After you have set the time for the online appointment, you proceed to pay for the appointment. Finally, you show up for the consultancy online. Where Do I Get My Prescription? Like a physical examination, an online consultancy aims to diagnose your condition. When you conclude the consultancy, the GP (General Practitioner) will prescribe a treatment or a personalized treatment plan as any doctor would do. While online doctors differ, many would recommend medicine or treatment considering your budget, condition, and other personal factors. From your GP’s recommendation, you then choose medicine or medicine. If you had your checkup with an online consulting agency, the doctor would send your prescription to your preferred pharmacy or have your medicine delivered to an address you decide. When this has been verified, you can then proceed to order for your prescription. Are There Prescriptions You Can’t Get Online? An online doctor can write you a 30 – 90 days’ prescription for most drugs. However, there are several prescriptions which an online doctor cannot make. Most online doctors are not allowed to prescribe medications that require keen monitoring and a medical specialist. There are also some medications whose dispensation are firmly controlled by the law. As a result, most online doctors are limited in their ability to prescribe strong painkillers, anxiolytics, sedatives, and hypnotics. Are There Benefits of Having an Online Prescription? If online and physical consultancy are similar, is there any reason why you should pick an online consultancy over having a physical consultancy? Take a look at some of the benefits of having your consultancy done online. Sometimes meeting up a doctor’s appointment can be difficult. Unexpected traffic, an extra hour spent at work, a sick child, even a memory slip can make you miss an appointment. However, opting for an online prescription allows you to set the time for your consultancy. Also, when you complete your consultancy, you can either proceed to order your drug online or have it delivered to a pharmacy of your choice. 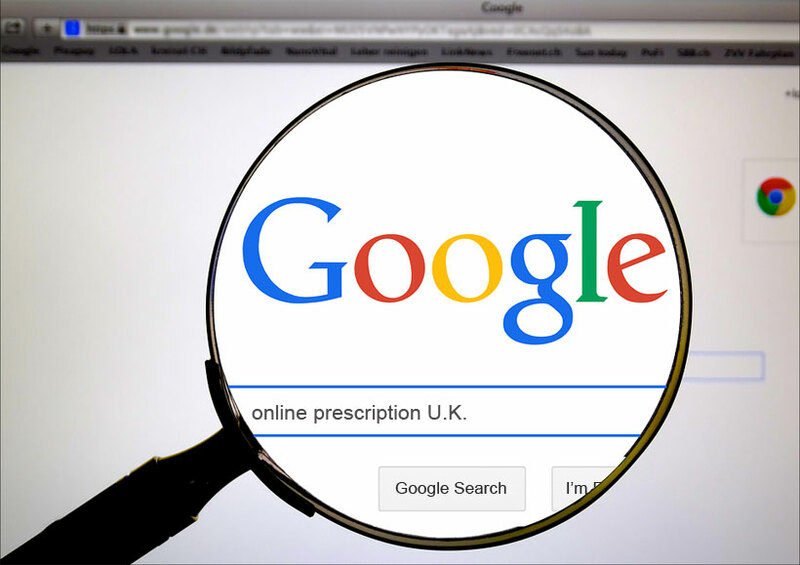 One of the underlying reasons for the growth of online prescription that it is relatively more convenient than paying a visit to the doctor. For one, you do not have to take a trip to the hospital, clinic, or pharmacy to complete a prescription. Also,certain conditions make us feel uncomfortable when the doctor examines us physically. For example, many men suffering from erectile dysfunction do not visit a doctor for an examination; instead, they opt for over the counter drugs used to handle the condition. An online prescription is just as valid as a real prescription and settles that uncomfortable feeling around a physician. Having a good regime for managing your medications is very important. There was a great article written at Pharmica titled ‘Tips to Manage Your Medication Effectively’ which details some great tips for managing your prescriptions. Having an online prescription allows physicians to verify whether patients fill prescriptions. This is somewhat difficult for a handwritten prescription. Some online consultancy agency also counsel patients on medication management. As a result, it is easier to make sure patients adhere to their prescriptions. If you have ever misplaced that little paper that was given to you by a doctor, you would understand what it takes to get it back. After an online consultancy, your prescription is sent directly to the pharmacy via a mail which means you don’t have to worry about misplacing your prescription before arriving at the pharmacy.